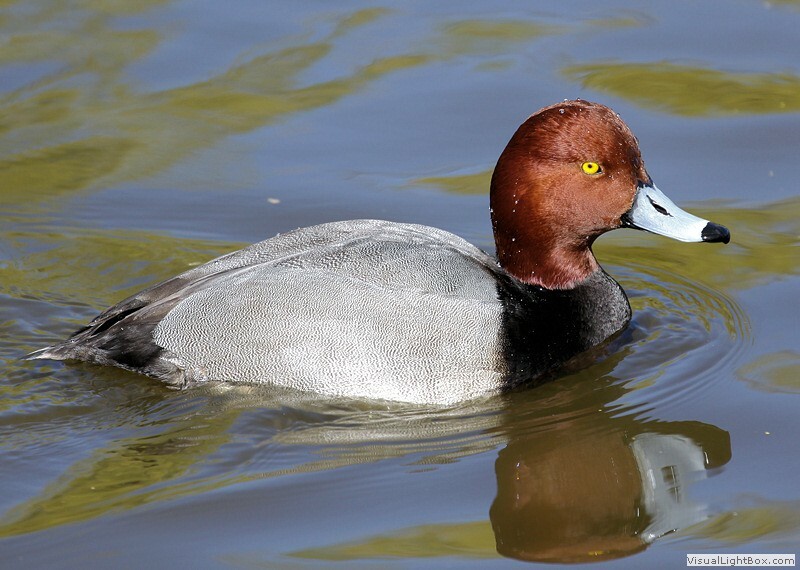 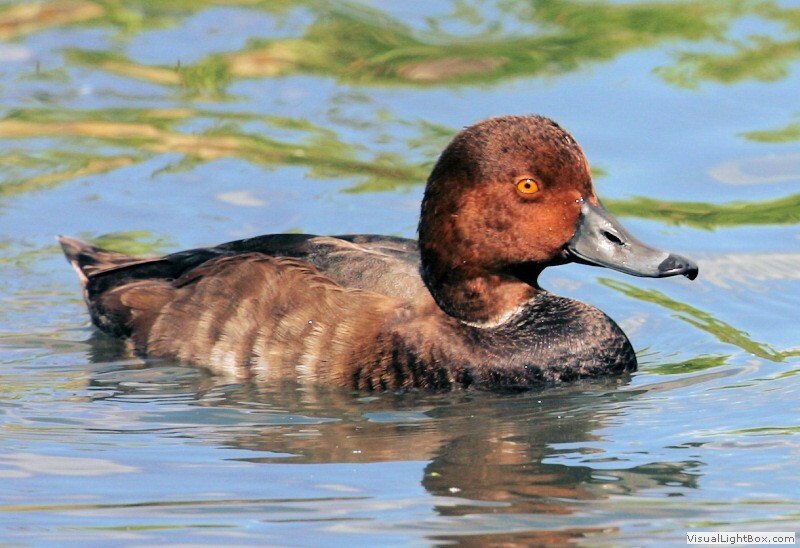 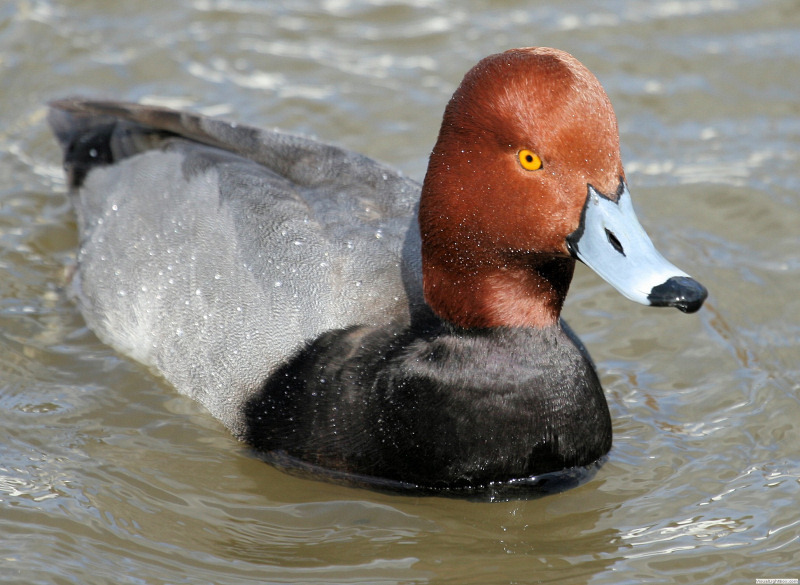 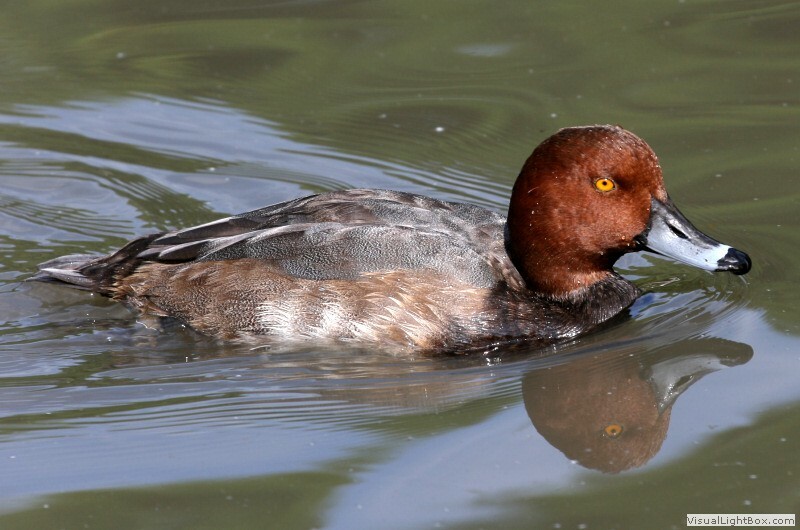 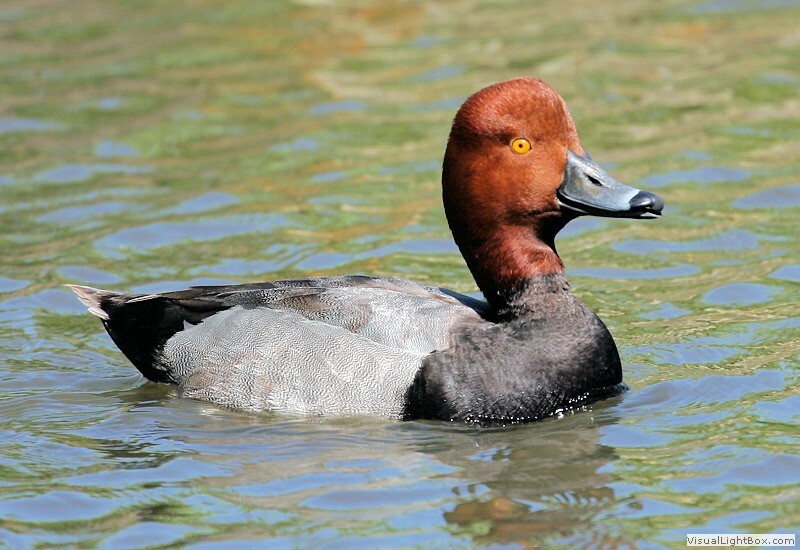 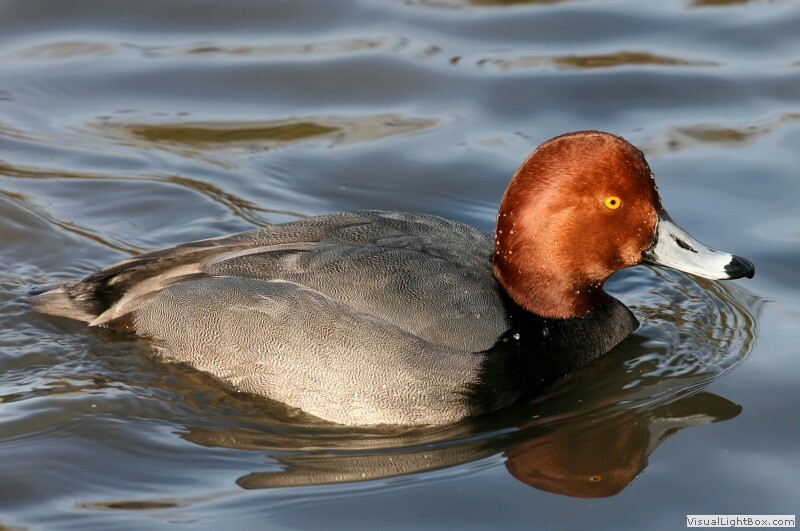 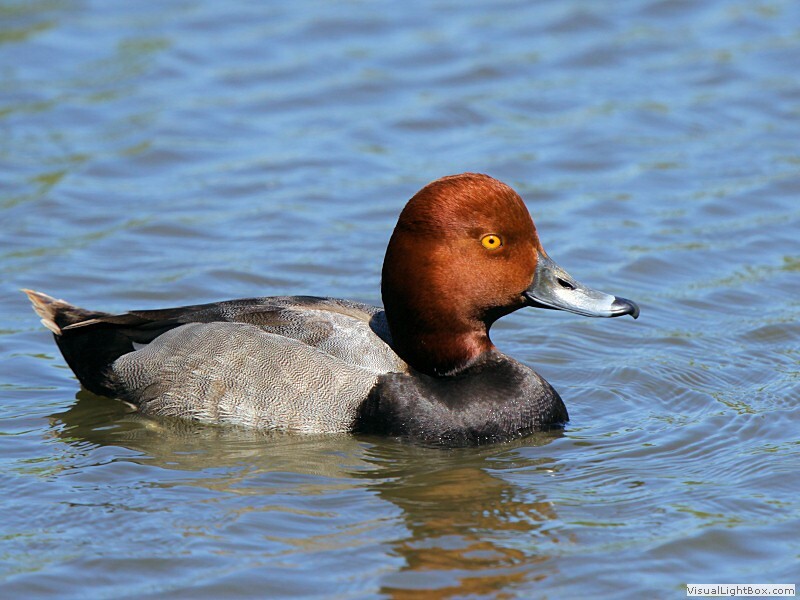 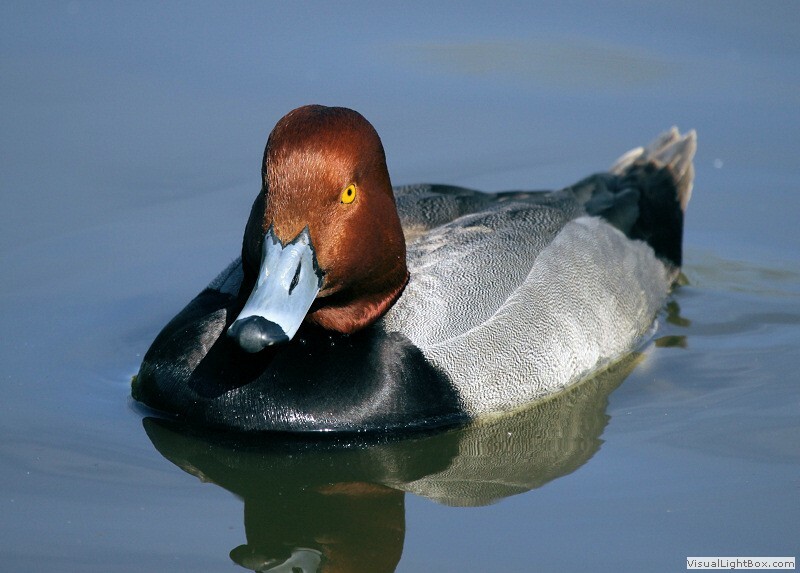 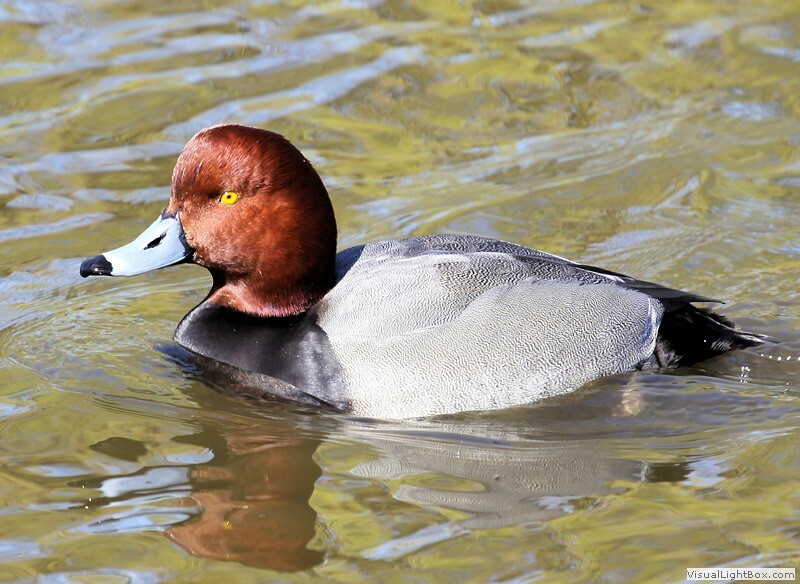 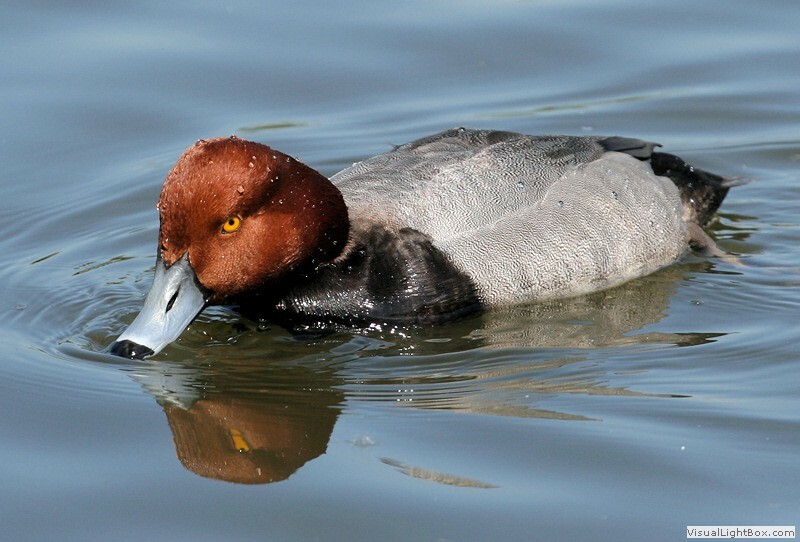 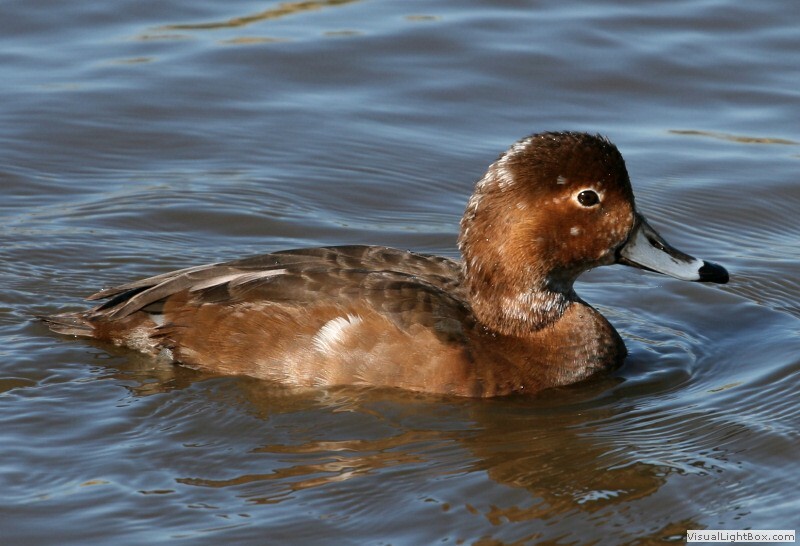 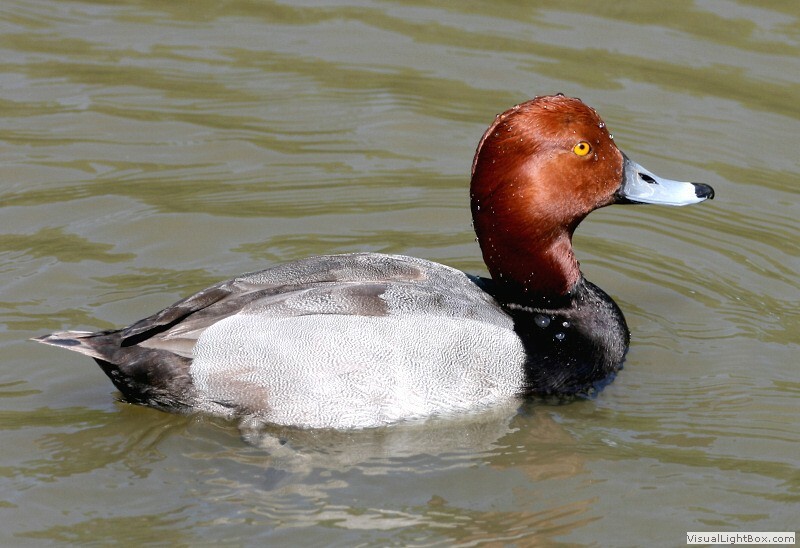 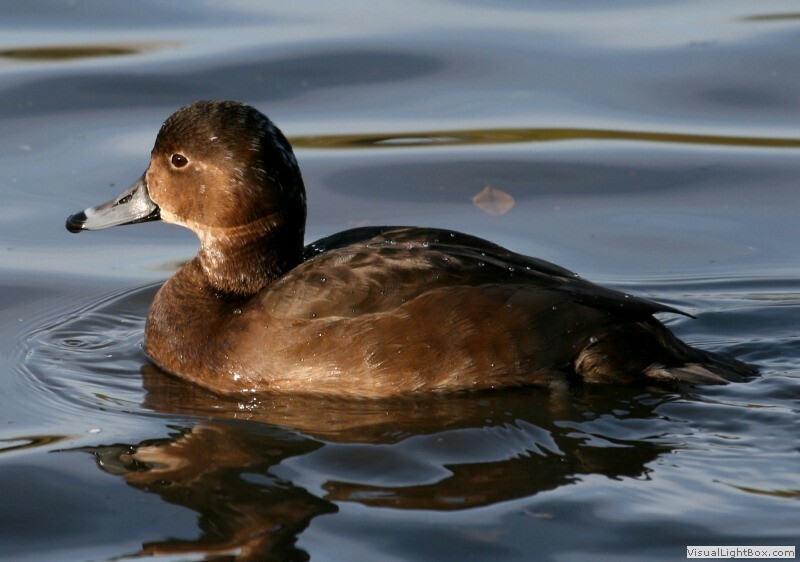 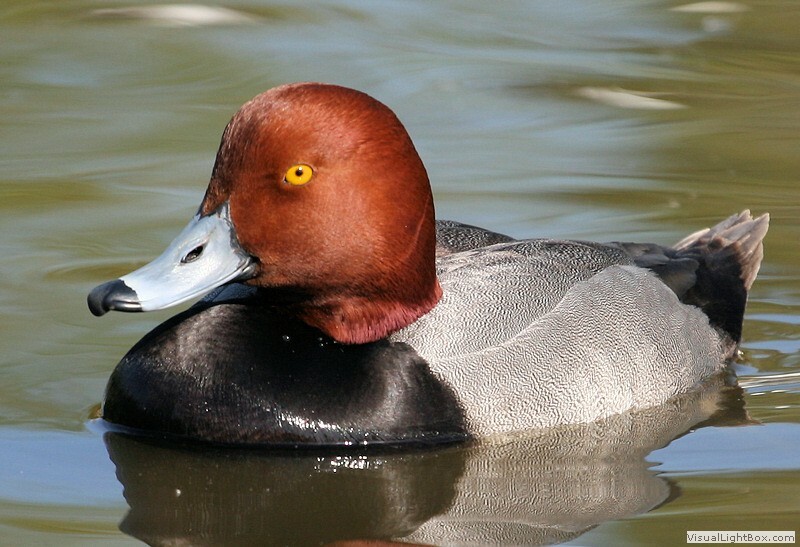 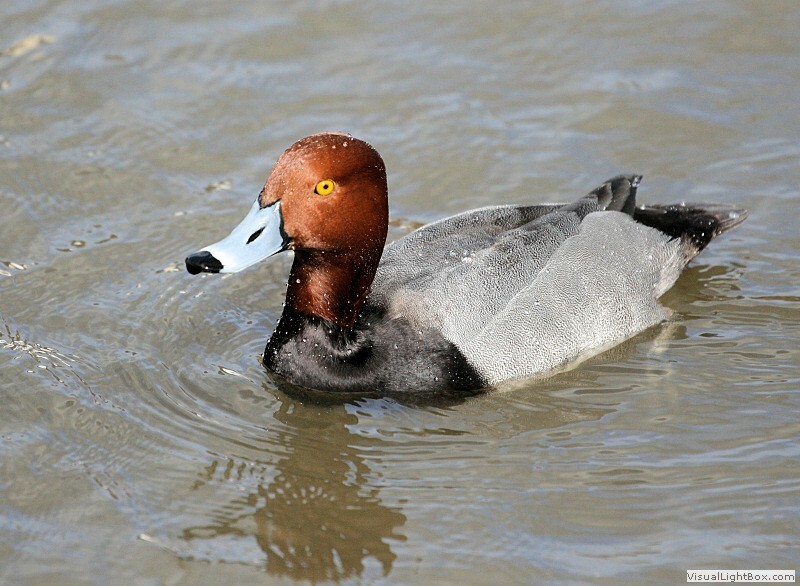 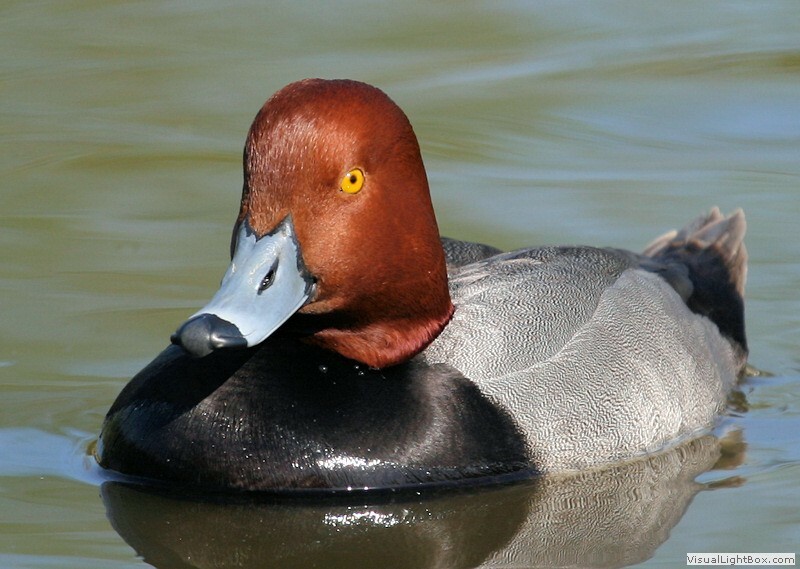 Identify Redhead - Duck - Wildfowl Photography. 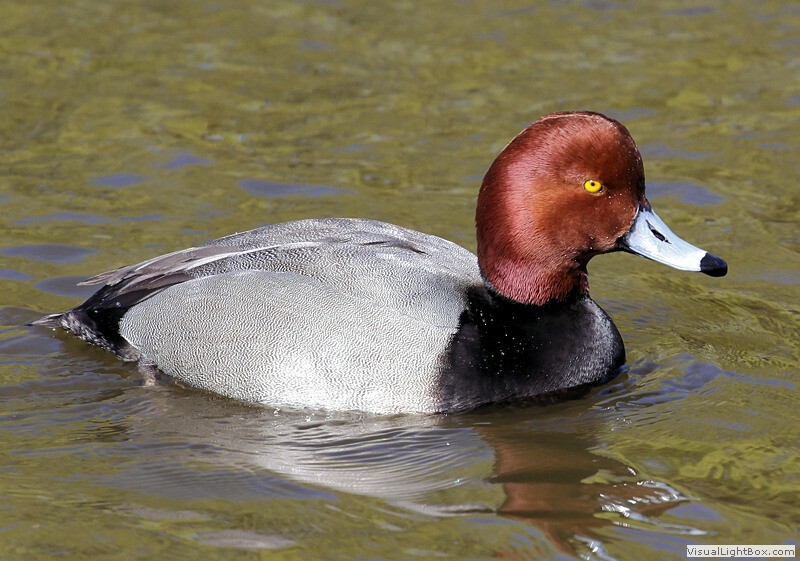 Male - The male Redhead has a reddish-chestnut head and neck, yellow eyes, blue-grey beak with black tip, black breast, pale-greyish vermiculated body, upperparts are a darker grey, blackish rump and tail, and grey legs and feet. 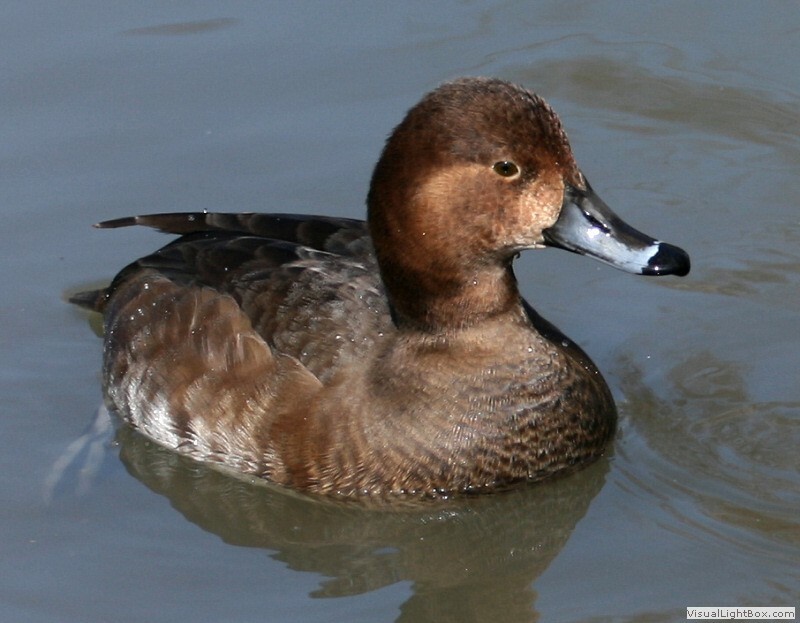 Female - The female has a light-brown head and neck, brown eyes, similar beak to the male but duller, buff-white chin and throat, slight eye-ring and stripe, brown flanks and breast, whitish underparts and vent, and grey-brown upperparts. 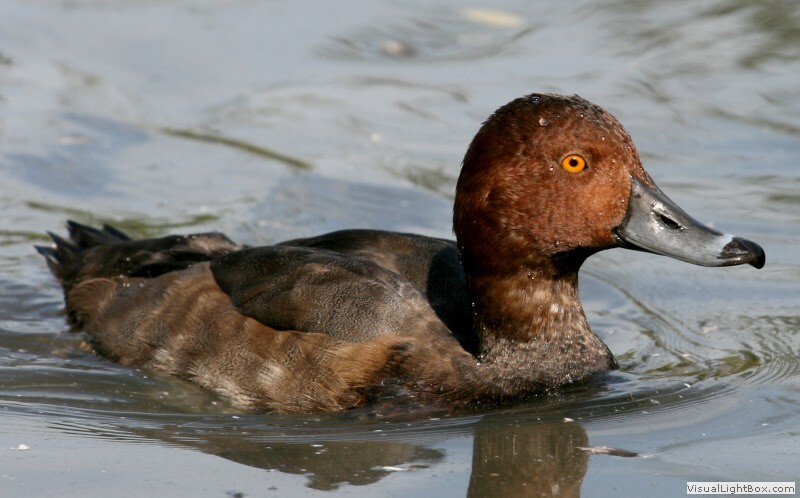 Legs and feet are grey. 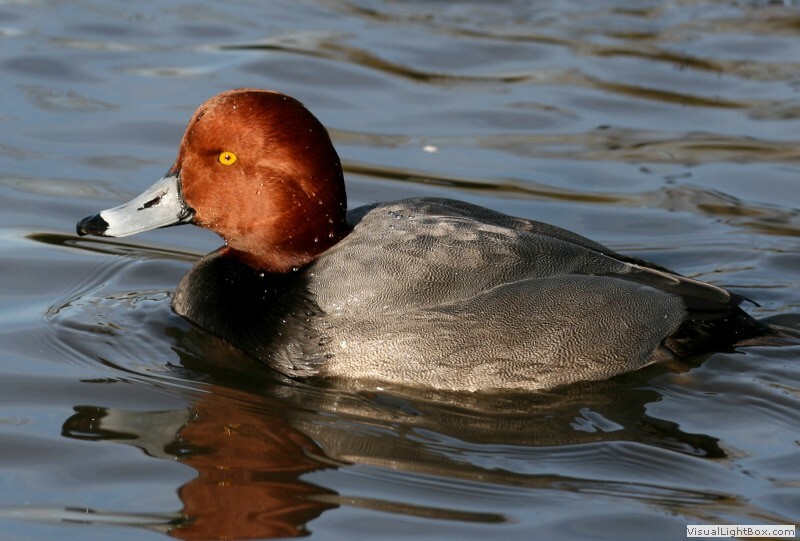 Eclipse - The male in eclipse has a brownish plumage with dark brown-red head and neck. 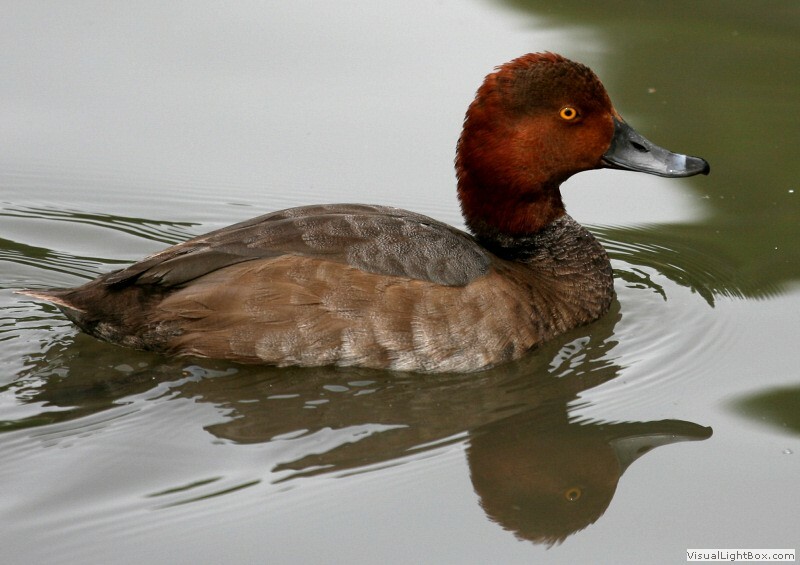 It retains the yellow eyes and has a brighter beak than the female. 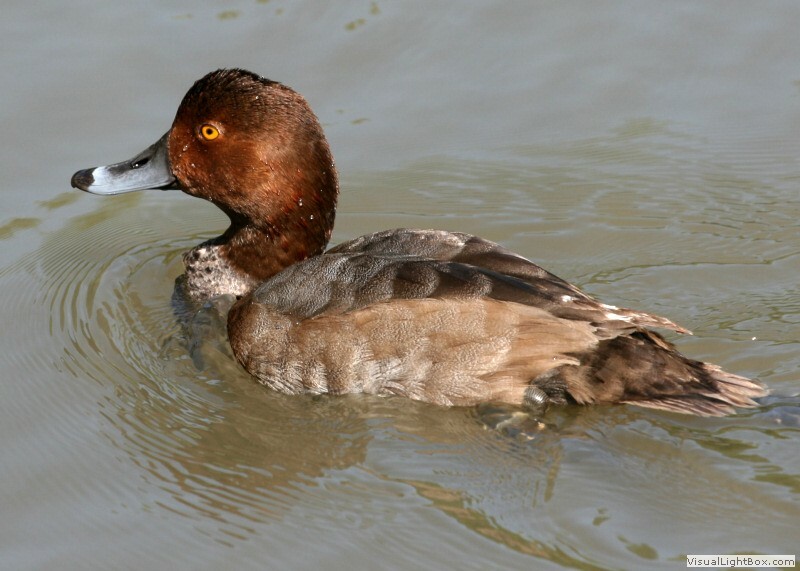 Size: - Typical Adult is about 37cm (14in). 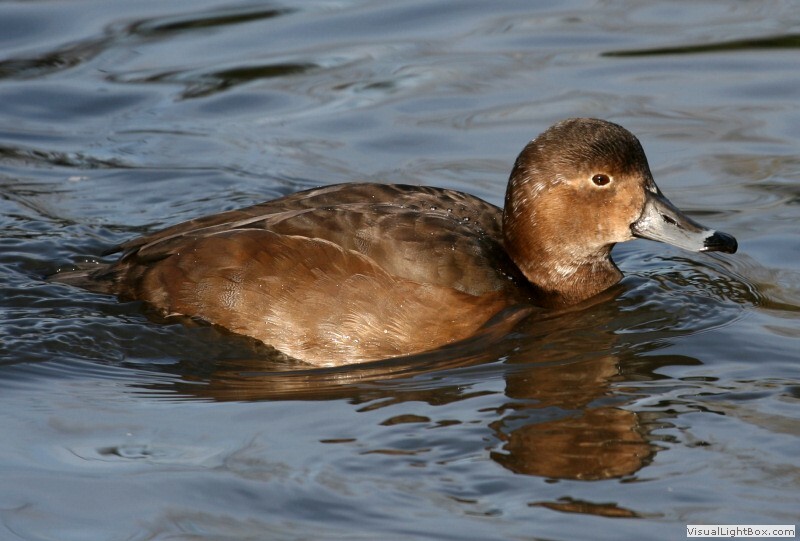 Food: - Mainly aquatic plants, seeds, pondweeds, leaves but also some molluscs. 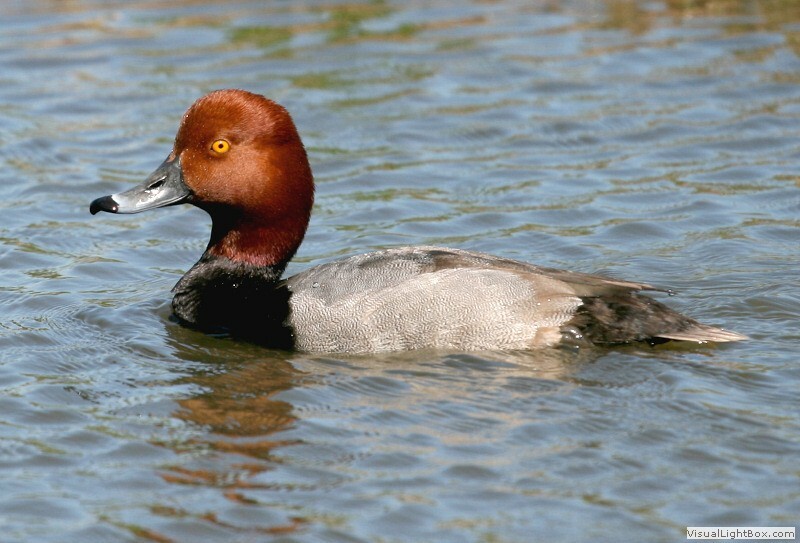 Habitat/Range: - Wetlands, marshlands, freshwater lakes, and coastal waters in south Canada and across the USA. 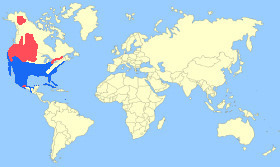 Wintering further south in southern USA, Mexico, and the Caribbean. 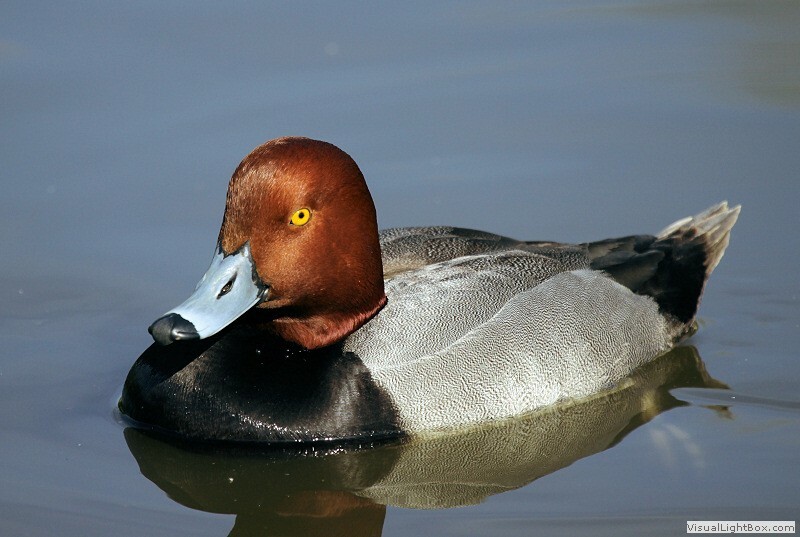 Breeding Season: - Late April to early June. 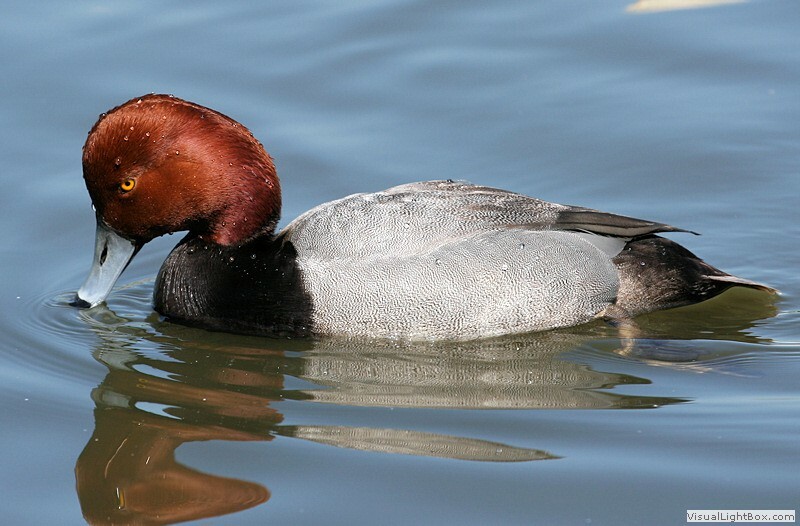 Eggs: - 6-9 (greenish-grey colour). 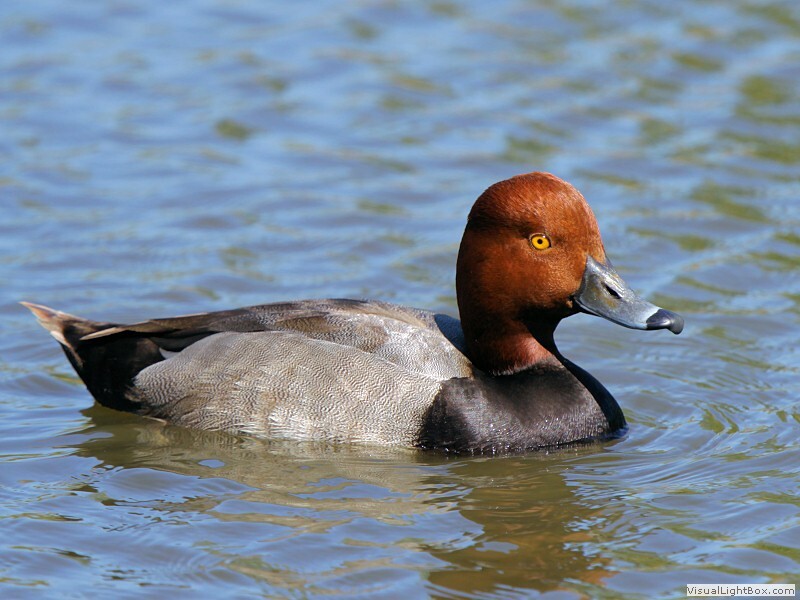 Notes: - The Redhead is a medium-size diving duck. 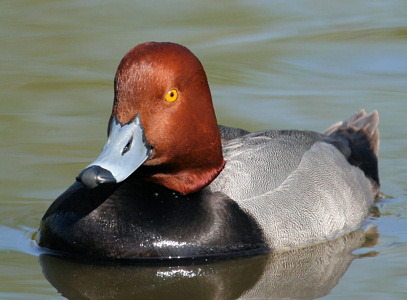 It is well known that these ducks will sometimes lay their eggs in other birds nests, even more so than other duck species. 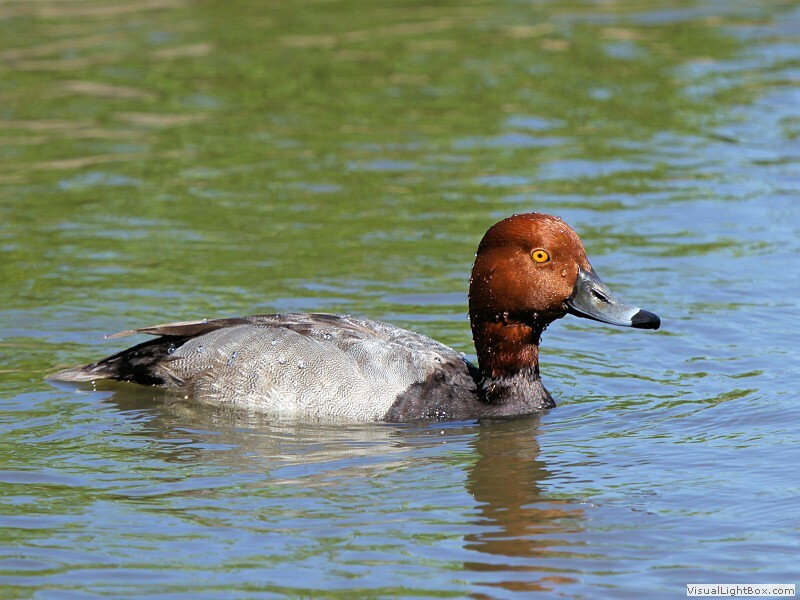 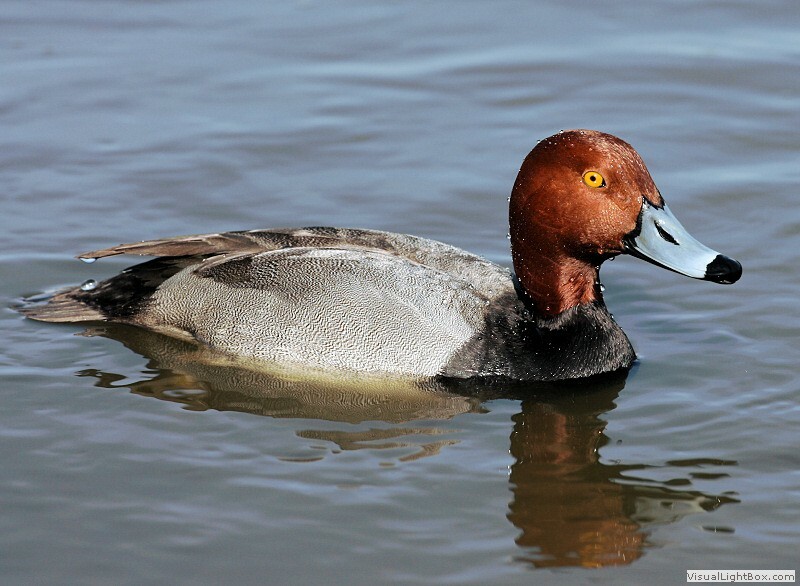 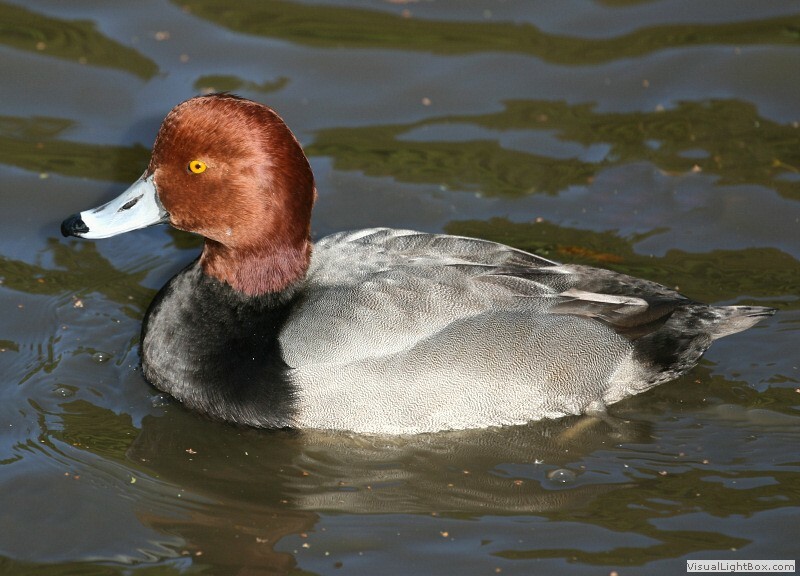 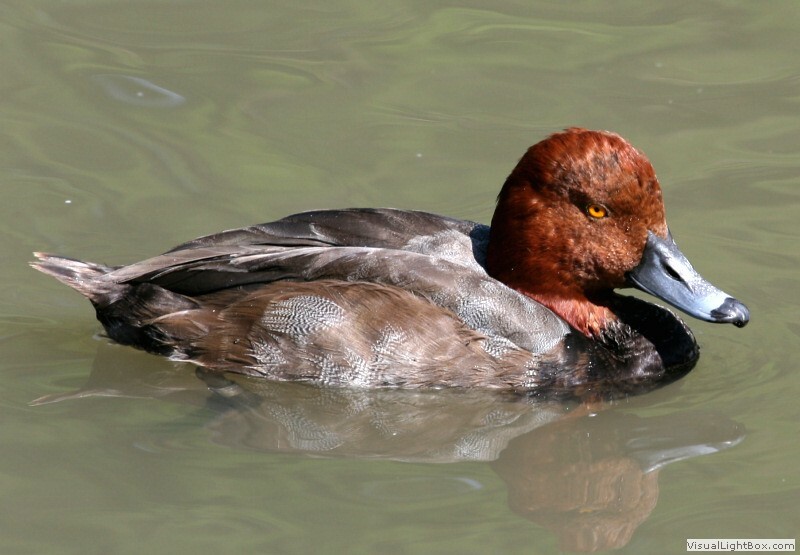 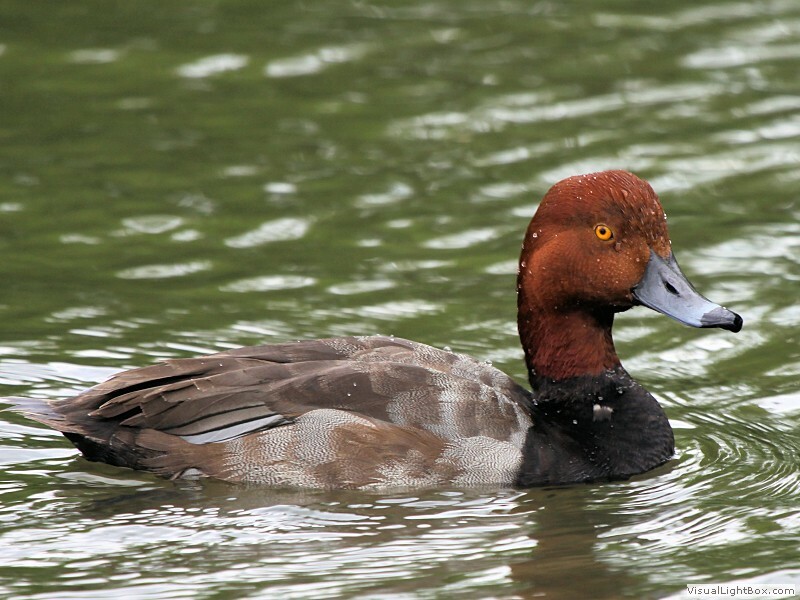 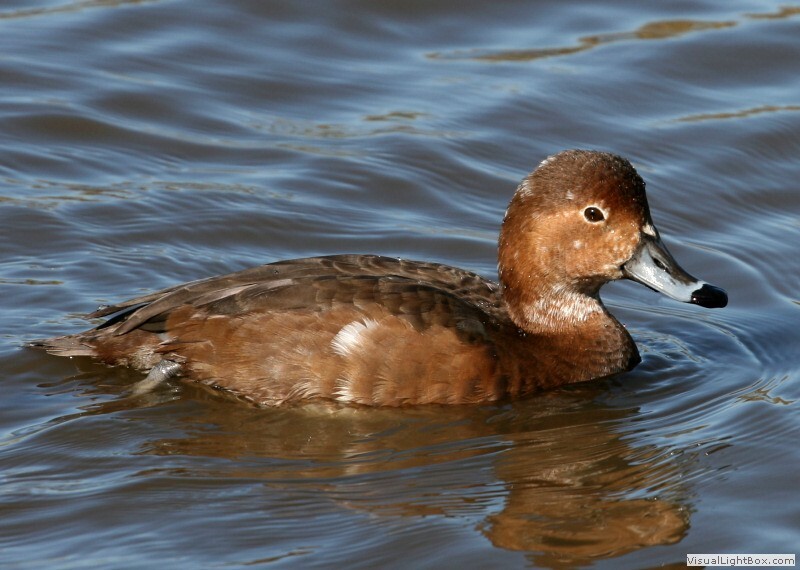 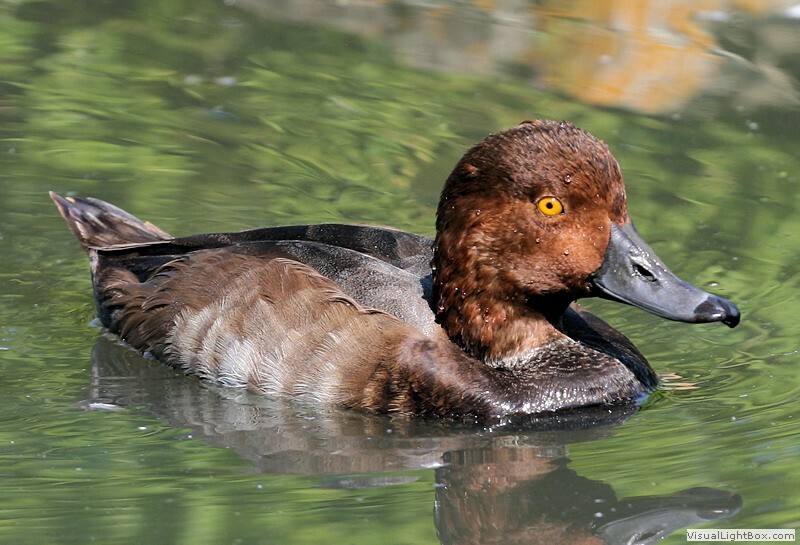 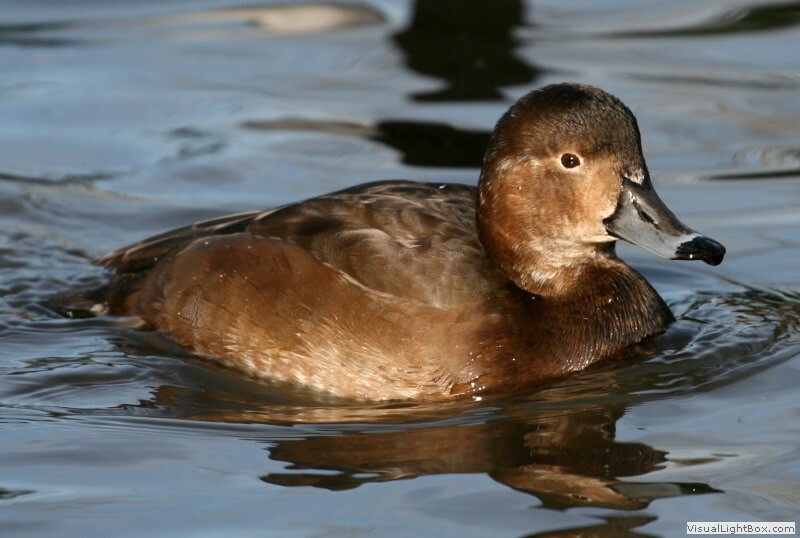 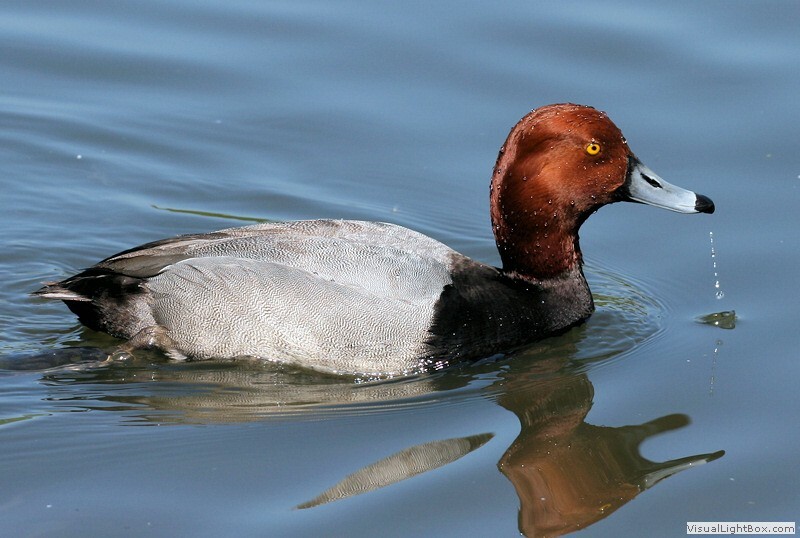 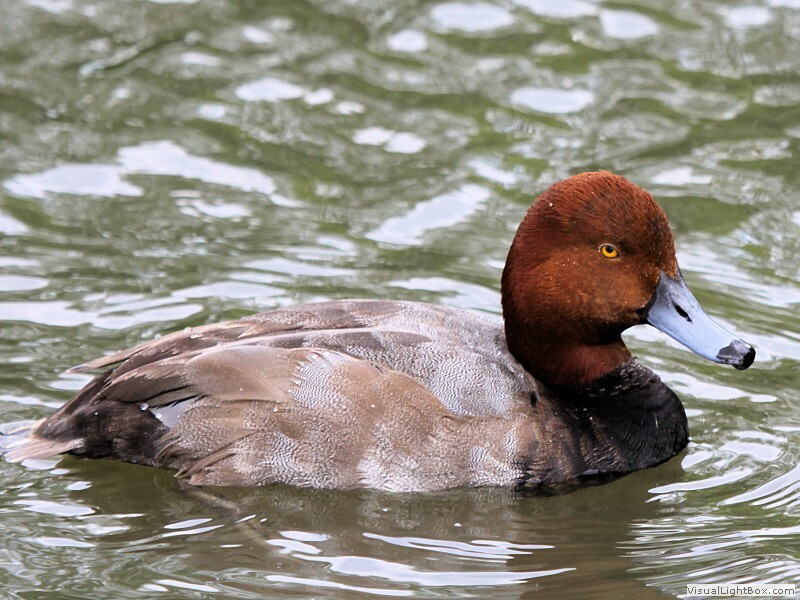 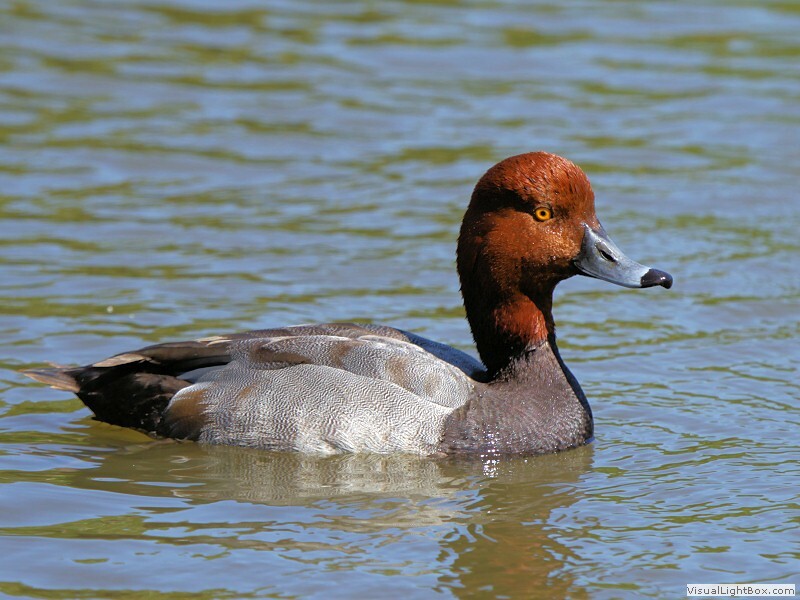 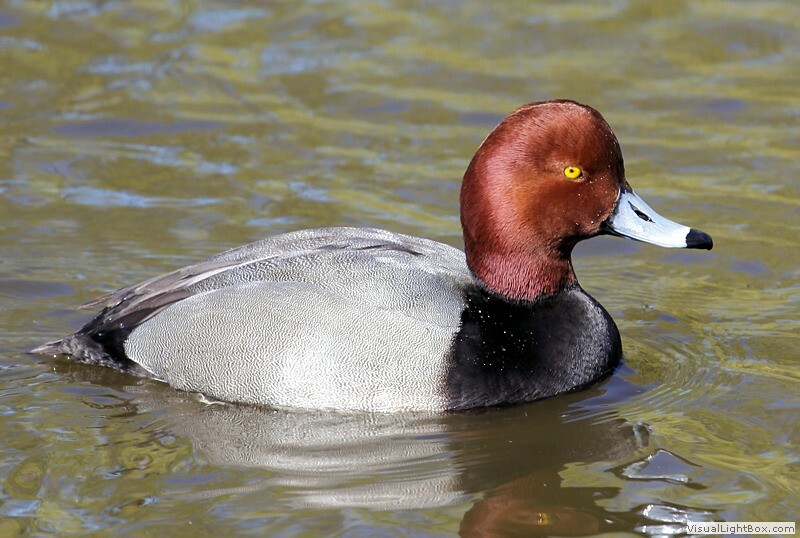 The Redhead looks similar to the Canvasback and the Common Pochard but has a yellow iris, whereas the other two ducks have a red iris. 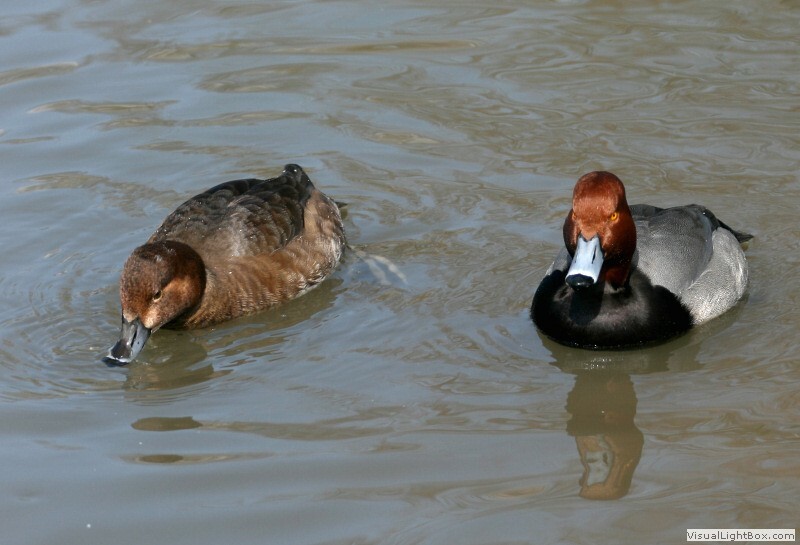 Compare male, female, and eclipse.